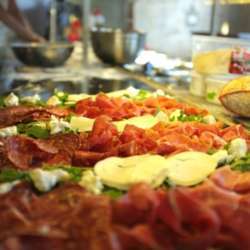 Protected content to-die-for handmade pizzas are of course the restaurant’s crowning glory, including cult favourite ‘Il Pizzaiolo del Presidente Diavola’, a mouth-watering combination of tomato, fior di latte, hot Calabrese salami, fresh chilli and olives. The traditional ‘Brandi Bufalina Margherita’ is Gilbert’s homage to his time spent in Southern Italy and the Il Capitano, a delicious mix of Swiss mushrooms, goats cheese, Italian sausage and truffle oil. With ingredients sourced from highest quality Italian and Australian produce, the menu also includes a selection of antipasti, pasta and authentic stone baked dishes. Protected content boasts a well-selected list of affordable Australian and Italian wine and of course imported Italian beers.